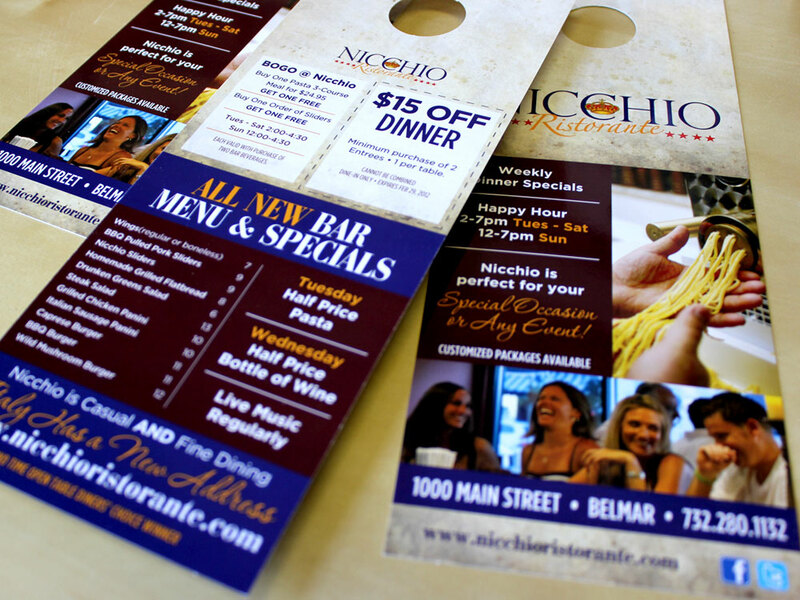 Nicchio Ristorante in Belmar, NJ claims “Italy Has a New Address!” They came to Splendor looking for an overall marketing plan to increase visibility and outreach for the restaurant. 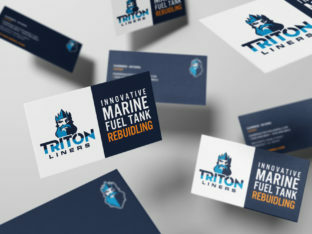 We designed printed materials, advertisement designs, and an all-new website. 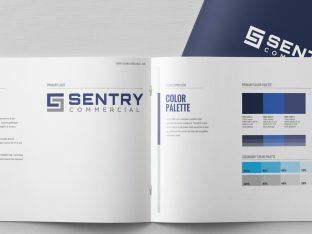 Part of their marketing campaign included digital media such as web design, printed advertisement design, and good old fashioned human contact, in the form of these custom designed door hangers. 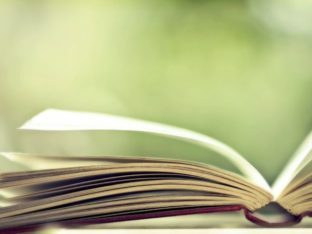 Door hangers designed with a company’s branding and targeted messaging are a great way to connect with a localized audience of potential customers. Often referred to as “street level” or even “guerilla marketing,” door hangers are cost effective to design and print, and with the right distribution team, even more cost effective to distribute.